Cell Therapy Ltd. Grants Japan License To Daiichi Sankyo For Its Heart Regeneration Medicine, Heartcel. 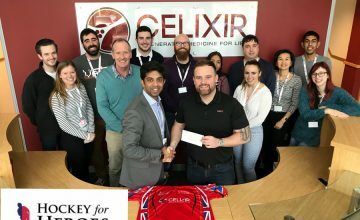 CARDIFF, Tuesday 10th May, 2016 – Cell Therapy Ltd. (CTL) today announced the granting of the Japan license for its innovative cardiac regeneration medicine, Heartcel (immuno-modulatory progenitor [iMP] cells) to Daiichi Sankyo. 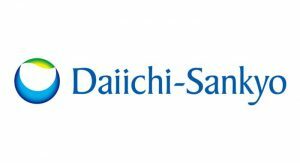 Daiichi Sankyo will undertake all development, regulatory and commercial activities for iMP cells in the territory of Japan only, while CTL retains its worldwide rights outside of Japan as well as global manufacturing responsibilities. Under the terms of the agreement, CTL receives a £12.5 million upfront licensing fee and additional milestone payments and royalties. Cell Therapy Limited (CTL) is a private British regenerative medicine company that has discovered and developed a pipeline of novel cellular medicines in areas of high unmet clinical need. CTL was founded in 2009 by Nobel Laureate Professor Sir Martin Evans and former Roche Global Head of Emerging Technologies Ajan Reginald. 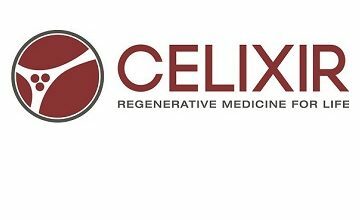 CTL’s disruptive technology platform drives in-house discovery and manufacture of a pipeline of novel tissue-specific regenerative medicines. 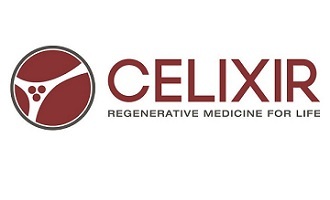 CTL is currently in the process of re-branding under the name Celixir. Heartcel consists of immuno-modulatory progenitor (iMP) cells, a cardiac-specific cellular medicine which has successfully completed European Phase 2 trials. Phase 3 trials are set to begin in 2016. Cell Therapy Ltd. Risks and uncertainties include, but are not limited to: challenges inherent in new product development, including obtaining regulatory approvals; competition, including technological advances, new products and patents attained by competitors; challenges to patents; changes in behavior and spending patterns or financial distress of purchasers of health care products and services; changes to regulations and domestic and foreign health care reforms; and general industry conditions, including trends toward health care cost containment. The Company undertakes no obligation to publicly update any forward-looking statement, whether as a result of new information, future events or otherwise. 1. Data presented at the International Society of Stem Cell Research (ISSCR) Annual Conference in Stockholm, 24th June, 2015. Available at: http://tinyurl.com/jldmygy. 2. Heart failure: Preventing disease and death worldwide. European Society of Cardiology, 2014. Available at: https://www.escardio.org/static_file/Escardio/Subspecialty/HFA/WHFA-whitepaper15-May-14.pdf. 3. Data presented at the European Society of Gene and Cell Therapy Annual Congress in Helsinki, 18th September, 2015. Available at: http://tinyurl.com/hbjdqu9.